The municipalities of Ankara and İstanbul are set to begin direct vegetable and fruit sales to consumers on Monday, as part of Ankara’s campaign against what it says are exorbitant price hikes to fruit and vegetables by suppliers, pro-government Hürriyet newspaper reported. The İstanbul municipality will have 50 sales points on Feb.11 in busy points throughout the city, Hürriyet said. The produce will be sold in tents, Istanbul Metropolitan Municipality Deputy Secretary General Hayri Baraçlı announced. Turkey is battling soaring inflation with produce taking a hard hit. Food inflation is at an annual 31 percent, its highest since at least 2004, as the price of eggplants, cucumbers and tomatoes have jumped 81 percent, 53 percent and 39 percent, respectively, over the past year. 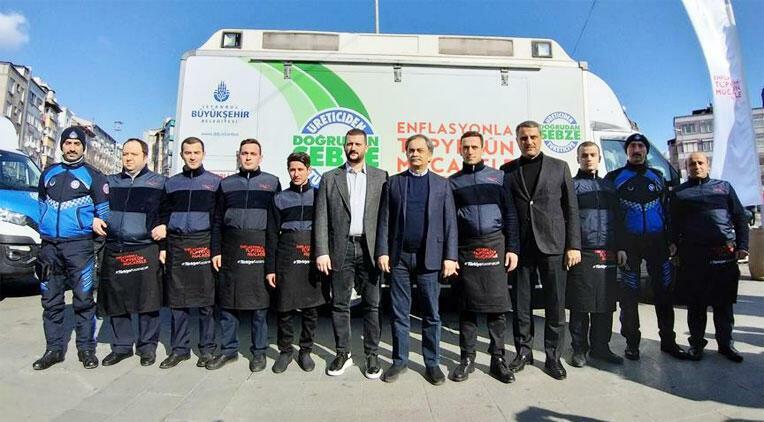 The municipal initiative follows inspections and threats of heavy fines by Turkish officials against ‘’opportunist,’’ suppliers and companies accused of price gouging.